Special interest-free financing is now available on select Martin guitars over $399! Financing for 12, 18, and 24 months is available until December 31, 2019. Click to learn more! This is the perfect time to come in and find the Martin of your dreams! 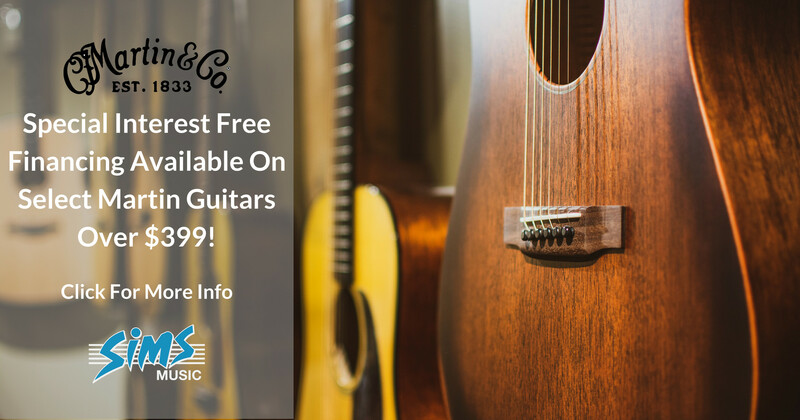 Come try all of the great models we've got in stock, chat with one of our staff members, fill out a quick application*, and head home with the perfect guitar!